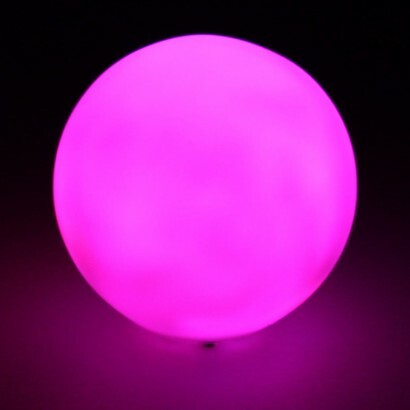 A contemporary little colour change light, this versatile ball is lit with a colour change LED to give an enchanting glow. Measuring just 7.5cm diameter, this stylish mini globe is ideal for use in kids rooms as a night light, around your home as a subtle mood light or even as a table decoration. With a seamless seven colour change, there's also a clever colour lock button that allows you to hold the light on your favourite colour allowing you to match the light effects to your mood or situation, and battery operated, it's portable, durable and suitable for any occasion!